New Delhi: It seems the main opposition Congress is divided over the death sentence to the 1993 Mumbai bomb blasts convict Yakub Memon. Though the party has been officially backing the death sentence awarded to one of the main culprits of the worst mass murder of the 1990s, its ‘celebrity’ Member of the Parliament Shashi Tharoor has embarrassed the party by tweeting against the death to Yakub Memon. He tweeted that he is saddened by the news that our government has hanged a human being. Congress spokesperson Randeep Singh Surjewala was quick to disassociate the party from Tharoor’s potentially controversial tweet on Memon’s hanging. Saddened by news that our government has hanged a human being. State-sponsored killing diminishes us all by reducing us to murderers too. Trying to control the damage, Tharoor quickly posted another tweet claiming that he is not commenting on the merits of a specific case hinting that he is not opposing Yakub Memon’s hanging and he is against the concept of death sentence. It was followed by two more tweets explaining his stand on the death sentence. However, Congress spokesperson Randeep Singh Surjewala was quick to disassociate the party from Tharoor’s potentially controversial tweet on Memon’s hanging. He said that it was Tharoor’s personal view and not that of the party. The social media which recently went hysterical over Tharoor’s stirring speech at the Oxford University demanding reparation from the British for 200 years of colonial rule and oppression, is now attacking him for his tweets. 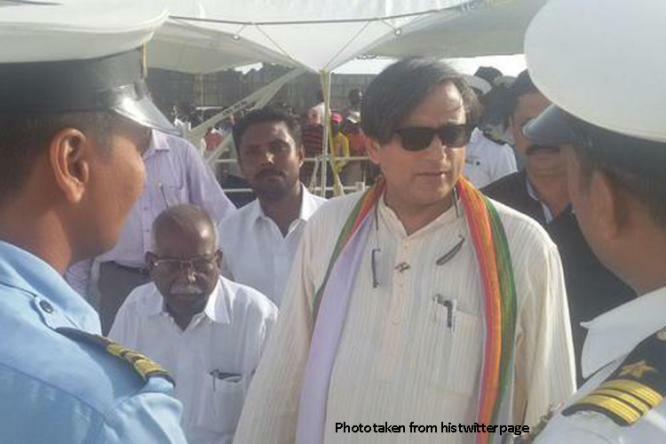 It seems Tharoor can’t live without controversies.